There’s been a lot of hype around Nihonga artist Hiroshi Senju lately. One of his waterfall paintings may even be the first thing you see as you enter Tokyo through Haneda Airport! Hiroshi Senju’s Nihonga painting formed the subject of his recent show at New York’s Sundaram Tagore, Hiroshi Senju: At World’s End, where he effortlessly weaves an atmosphere of primal wilderness with calmness and serenity. Yet the sublime, natural quality of his art means that they are perfectly paired with awe-inspiring interiors — an aspect of Senju’s work that is often overlooked. Read on for four of our top picks of his nature-inspired work blended with simple yet exquisite interiors. Part of the Japan America Society of Greater Philadelphia and the Shofuso Japanese House and Garden, Hiroshi Senju’s stunning waterfall murals lend themselves beautifully to the traditional-style Japanese house, designed to reflect the history of Japanese culture in Philadelphia. The Most Awesome and Arty Things to Do in Tokyo: Download this Free Travel Guide! 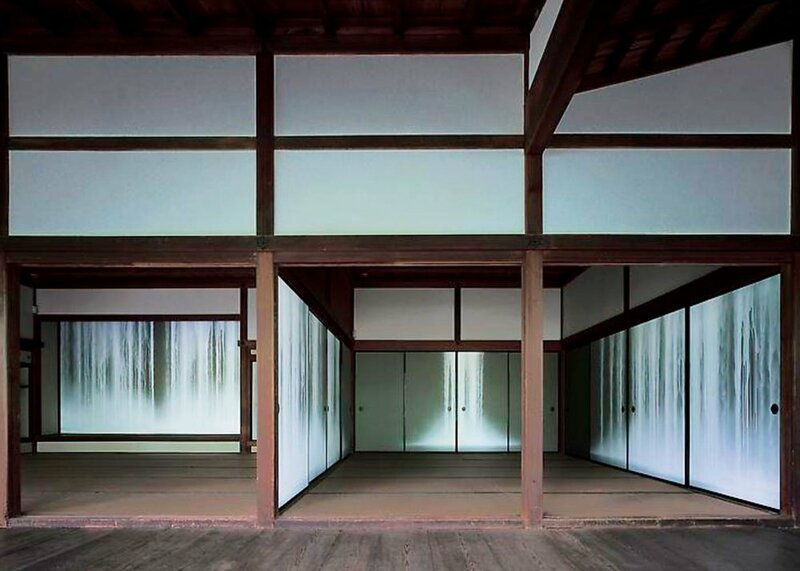 Completed in 2002, the series of paintings on fusuma (sliding screens) at the Jukoin Betsuin Daitoku-ji Temple in Kyoto are a wonderful example of the artist’s ability to create all-encompassing interiors and paintings which border on the experimental. Deep hues and an ethereal subject matter of his nihonga paintings combine with the traditional geometric shapes of Japanese architecture, to create a highly atmospheric site. Not sure what nihonga is? Take a look at our Concise Guide! Senju’s work is included at the Benesse Art Site, Naoshima , one part of the renowned Art House Project in the island’s Honmura district. The former private home of the prosperous Ishibashi family, Senju spent five years this unique space, turning the interior from a ‘tangible memory’ of its previous heritage, into a work of art. Finally but of course not least, is the Hiroshi Senju Museum where the artist’s interests in architecture and nature are fused in one custom-built location in Karuizawa, Japan. Designed by Tokyo-based architect Ryue Nishizawa and opened in 2011, the museum is home to one hundred works by the artist, within a stark white environment. As the recipient of the Isamu Noguchi Award in 2017 and the first contemporary Asian artist to receive an Honorable Mention Award at the Venice Biennale in 1995, Senju was awarded both the Foreign Minister’s Commendation from the Japanese government for contributions to art in 2017. 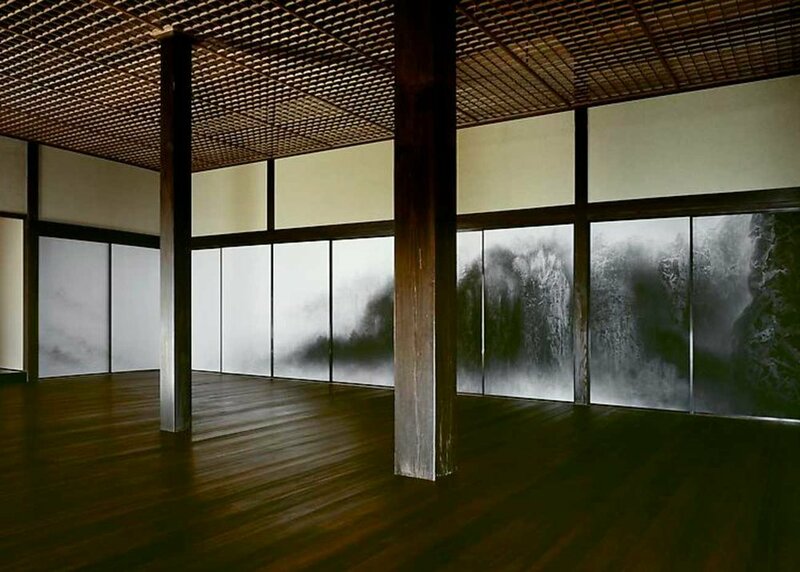 If you get the chance, you should head over to the Hiroshi Senju Museum to discover why this talented artist is getting so much attention! Hours: 9.30am to 5pm, closed on Tuesdays. Find out more here. Which is your favorite of Senju's works? Let us know in the comments below!